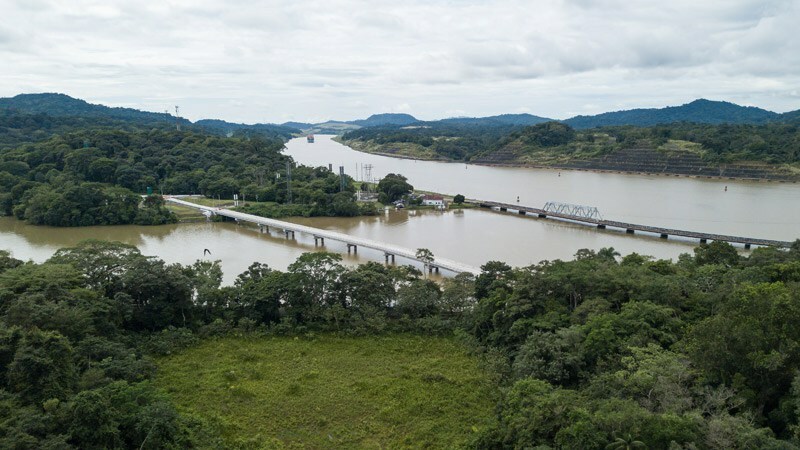 » Portfolio » Bridge over the river Chagres in Gamboa. Panama. 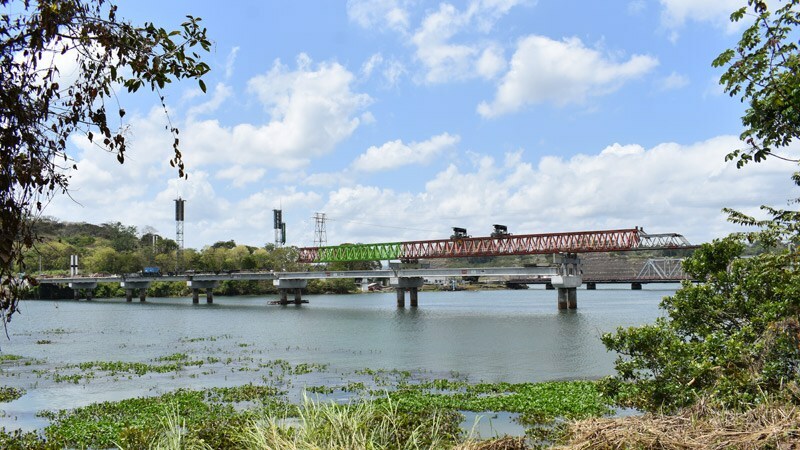 Bridge over the river Chagres in Gamboa. Panama. 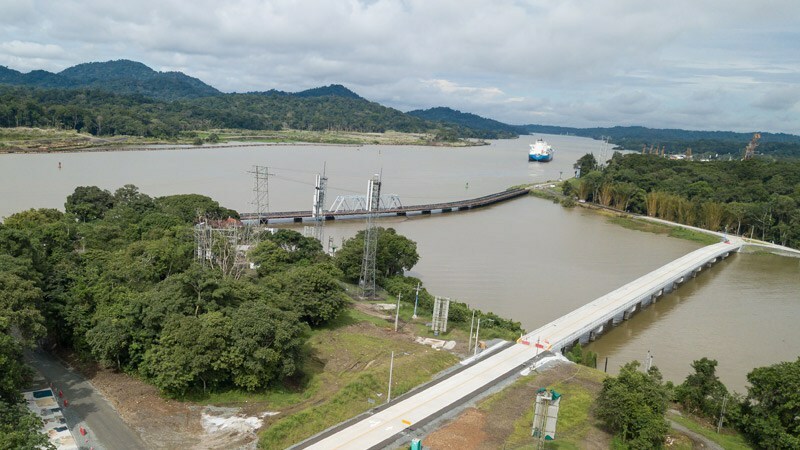 The works of the bridge over the river Chagres in Panamá Canal consist of the construction of a new concrete bridge measuring 278 m long, with two lanes and 8 spans measuring 34.75 m high each. 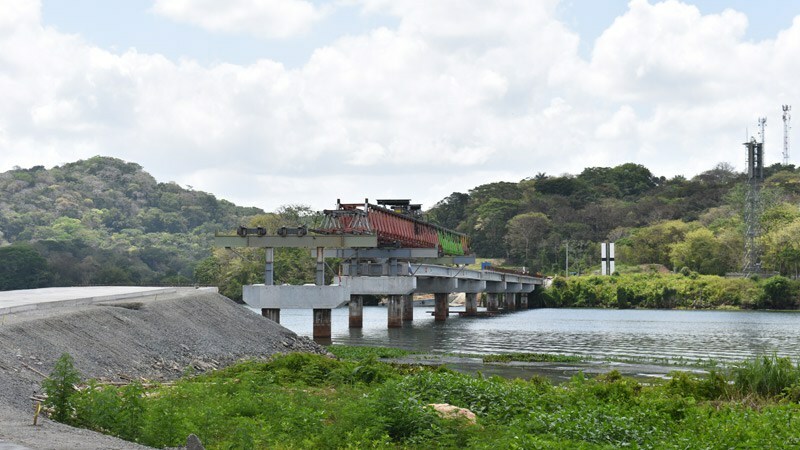 They also involve the execution of 382 m of road for accessing from the northern and the southern part of the bridge. 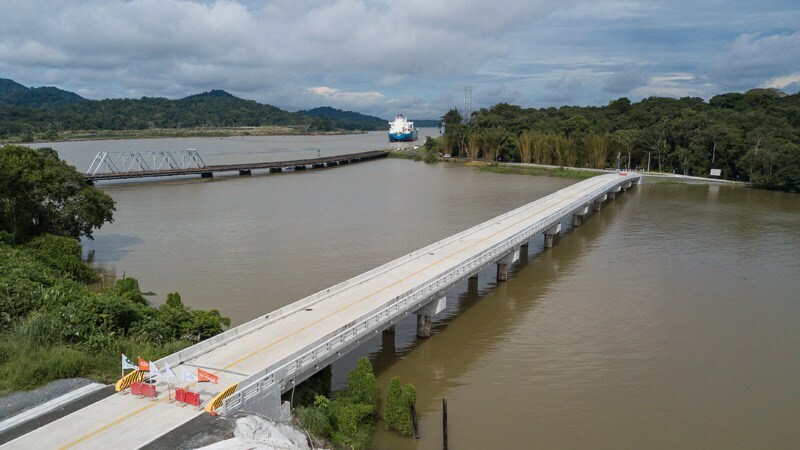 The sub-structure of the bridge consists of 2 abutments and 7 pillars, footed on reinforced concrete piles measuring 1.5 m of diameter and 16 to 44 m long depending on their position. 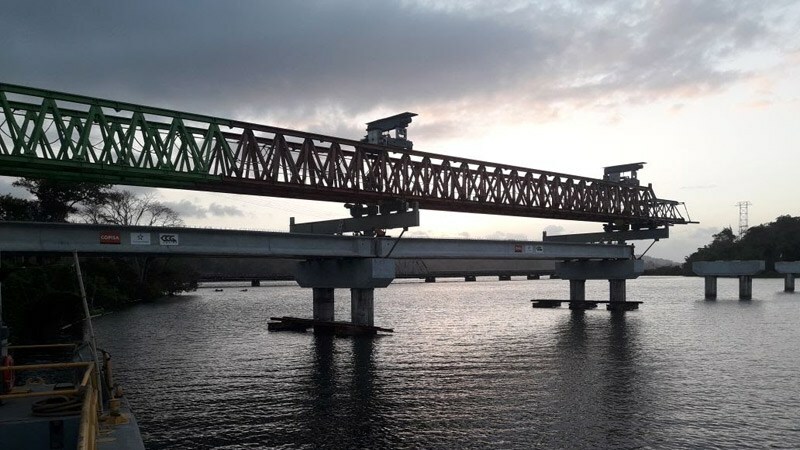 The super-structure consists of prestressed concrete prefabricated wide flange beams measuring 1350×180 mm. 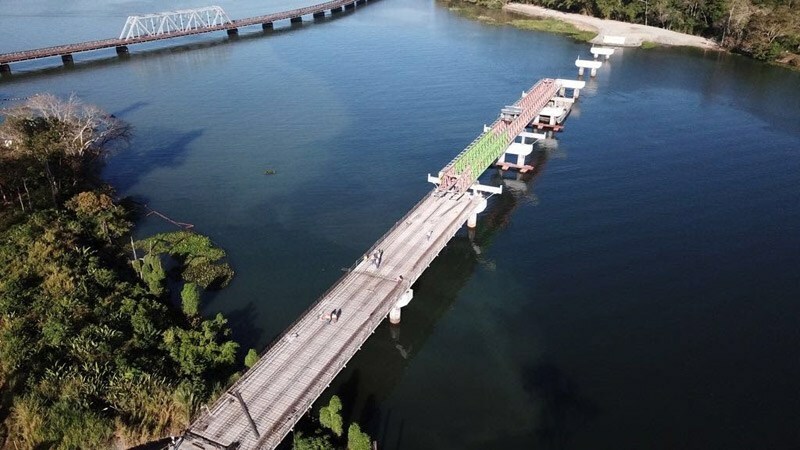 The concrete rolling slab is 20 cm thick, and it is divided at the middle of the bridge by means of an expansion joint. 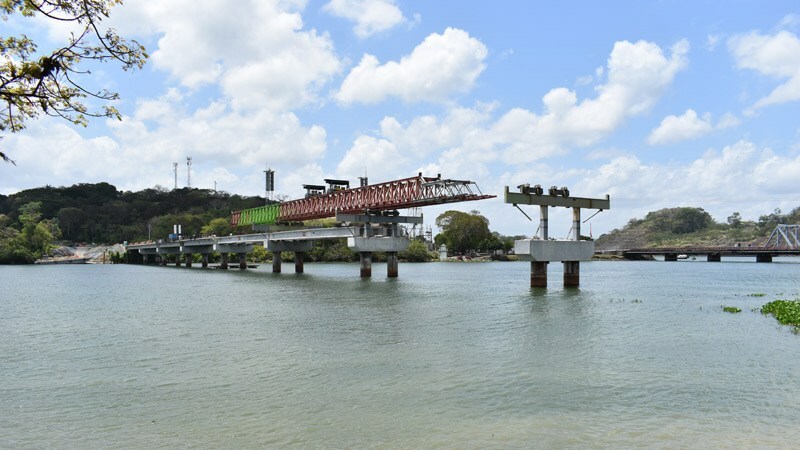 The structure and the accesses are joined by means of an access slab measuring 5.5 m long. 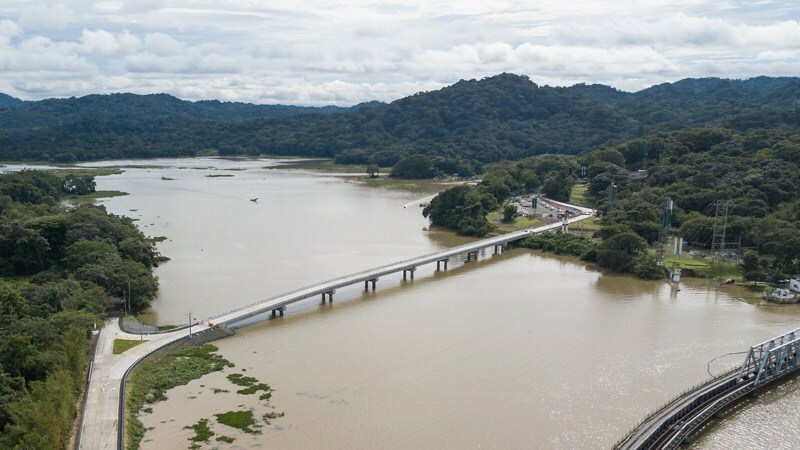 The access to the abutment 2 is rock filled due to the proximity of the river Chagres. The electrical installation of the public lighting and the relocation of the air line with a viaduct will be also executed.